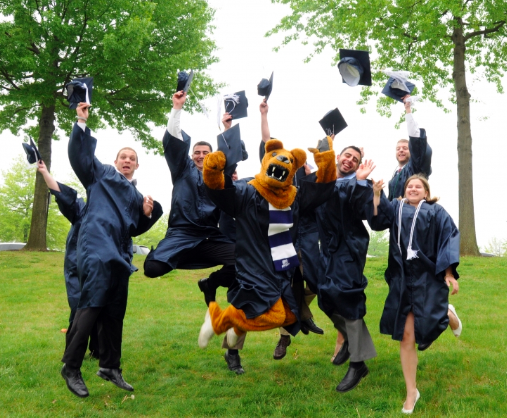 The Lion Ambassadors and the Penn State Alumni Association will once again host its annual Senior Sendoff. The event will be held on Friday, April 26 from 1:00 – 4:00 pm at the Hintz Family Alumni Center. This festive event typically attracts approximately 2000+ senior students. Live music, food, booths, giveaways and other activities are planned for the afternoon. The Volunteer Services Team will staff a booth at the Hintz Family Alumni Center that will serve as the one-stop shop for all affiliate groups. We will share information about how affiliate groups can help recent graduates connect to other alumni within their area and the University. We will refer graduating students, based off of their interest, to the groups that are most applicable (Society, APG, AIG, or Chapter). Graphics and handouts will help draw attention and enable the students to leave with affiliate group contact information. 1. You may attend in person and have a table displaying information about your affiliate group. * If you have any special requests, such as an electrical outlet, please let us know as soon as possible because outlets are limited. * Please let us know how you plan to collect data from students moving to your area. We want to make sure that we are coordinating our efforts. 2. If you can’t have a representative personally attend, you can send information about your group (membership apps, activity list, contact cards, etc.) to be tabled by PSAA staff. Though we recognize that many groups will not be able to attend or directly participate, it is our hope that by partnering with the Senior Sendoff, we will engage graduating seniors and help them understand the benefits of connecting through our affiliate groups. Should you have any questions, please contact our office at the phone number below.